SmartBox unique responsive Bootstrap Business Wordpress Theme. 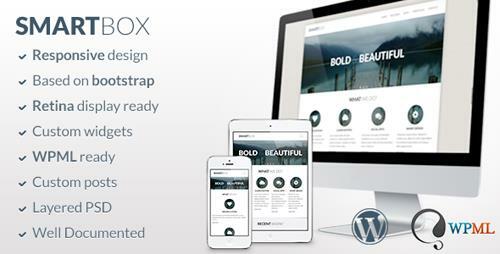 SmartBox is a�responsive wordpress theme�built on Twitter Bootstrap. It contains�20+ unique pages�that can be customized for any business or creative agency, it also looks great as a blog. Designed from mobile up so your site will look great from 1200px down to iPhone!